Our client, a winner of ‘Emerging Technology in Cloud Computing’, created an online solution to connect to a private cloud enabling people to access and share their content from anywhere. Our client’s solution has a user base of 3 million plus and is growing rapidly. This solution has simplified online content management and accelerated team productivity, besides helping connecting people within and outside the enterprise using a simple yet secure and efficient sharing platform. Our client’s mission is to improve the online and mobile experience of individuals, small businesses and Fortune 1000 companies. Our client faced the common challenges experienced by most successful start-up companies. They wanted to accelerate their growth by being innovative and competitive in cloud computing space. Our client had already established leadership position in file sharing through desktops through the web world and wanted to extend their offering to mobile platforms. Achieving user acceptance benchmarks: Acceptance from 1000 external users in first month after beta launch. Xoriant’s team of mobile application experts had a series of discussions with client’s engineering team. Both the teams agreed to a common project charter and agreed to follow Agile development methodology. Certified SCRUM master and well experienced team decided on 4 week sprints. The scope of the engagement was to develop native BlackBerry application that will support multiple variants of BlackBerry devices. Sprint planning was done to ensure staggered delivery. It was aligned to the beta launch plan of the client. As our client’s current solution was already being used by 3 million users, it was important for the Xoriant team to come up with scalable, modular and secure architecture for mobile application. 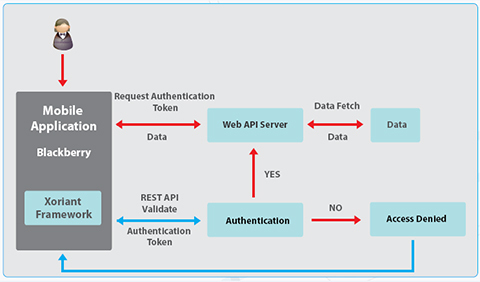 Xoriant recommended use of secure API based REST architecture and modular development pattern to easily extend the development to multiple BlackBerry devices like curve, bold and perl series. 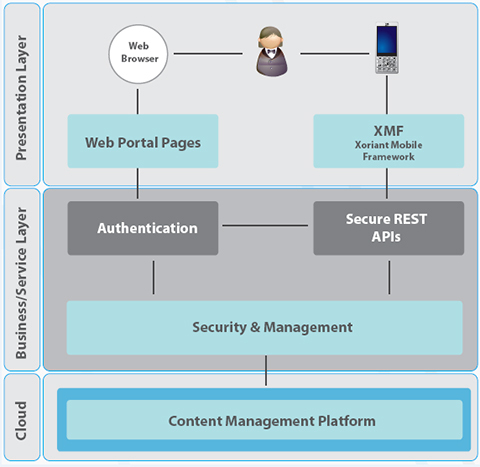 By leveraging Xoriant’s proprietary mobile framework (XMF) compatible with multiple mobile devices, the teams came up with a loosely coupled design, allowing the client to fine-tune the features closely to their evolving business requirements. First sprint led to the release of mobile application on BlackBerry Curve devices. It was followed by release of mobile application on BlackBerry Bold and Pearl series in subsequent sprints. Latest RIM APIs were used for achieving the features required by closely working with the RIM engineering team in Canada. Xoriant also added some tweaks like auto-detection and installation of new product versions on the BlackBerry devices. Xoriant’s QA lab for mobile platforms helped reduce the overall infrastructure setup time and also enabled the testing team to verify the functioning of the product features on various devices. Additionally Xoriant QA team also verified the product on various device and carrier combinations using a Device Anywhere account. The success of these tests paved the way for the client to make a wide-user base release. Integrated with “HTTPS” call for getting server side data through device network carrier and Wi-Fi. Sun Java Development Kit 1.5 or higher. BlackBerry JDE 4.5. Making application compatible with different Blackberry handsets. 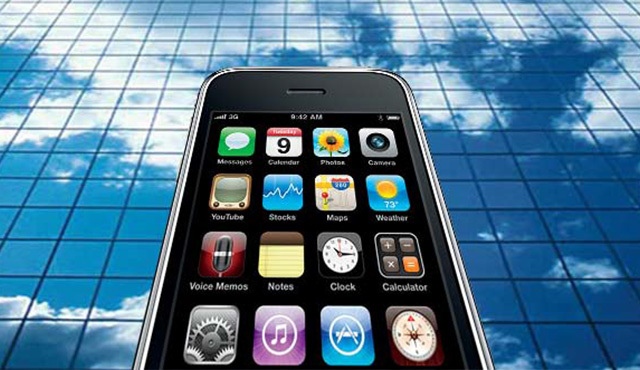 Porting on different handsets with minimum possiblel changes to achieve quick time-to-market. Design and development of a native BlackBerry application having rich user interface, which leverages online storage functionality on mobile devices. The user interface design was designed in tabular format which gives a user access to all features of the product without navigating away from the main screen. The production release on the first devise was made available in as soon as 4 weeks time due to agile delivery methodology.